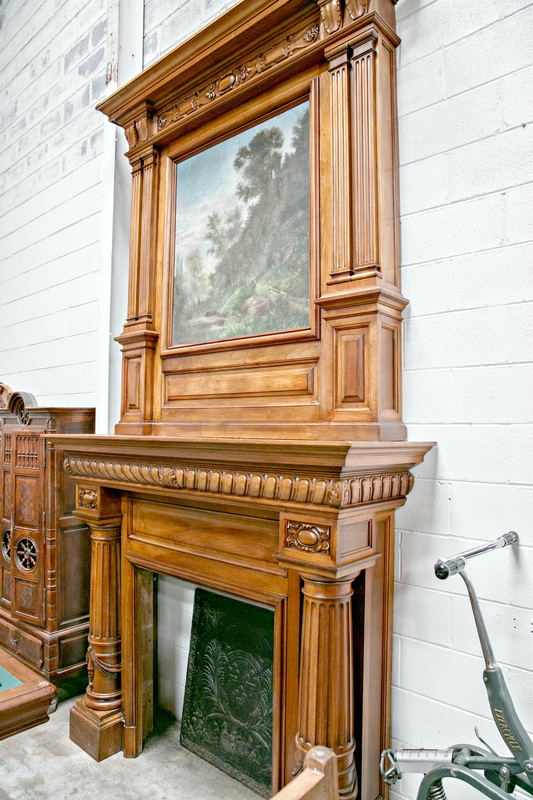 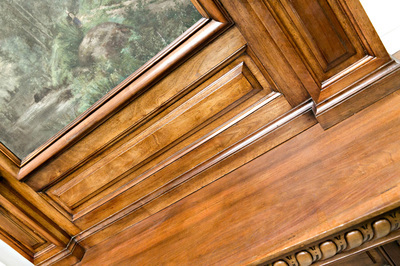 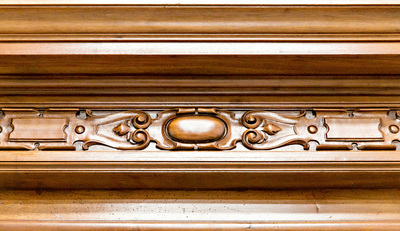 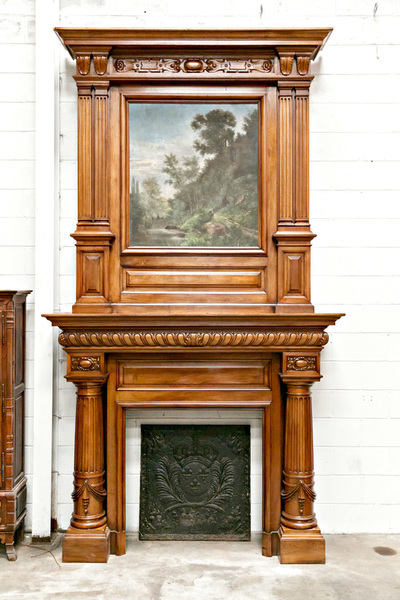 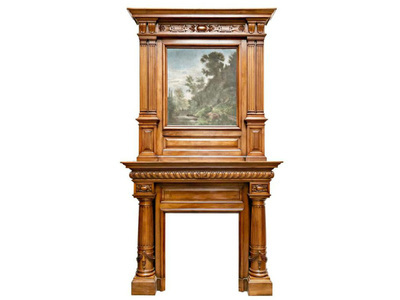 A fine monumental French chimneypiece and trumeau overmantel in the Renaissance Revival style. 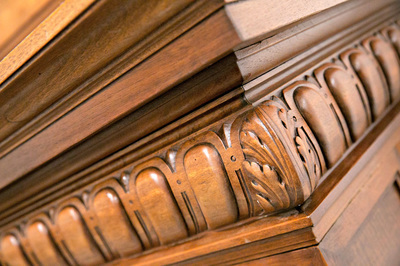 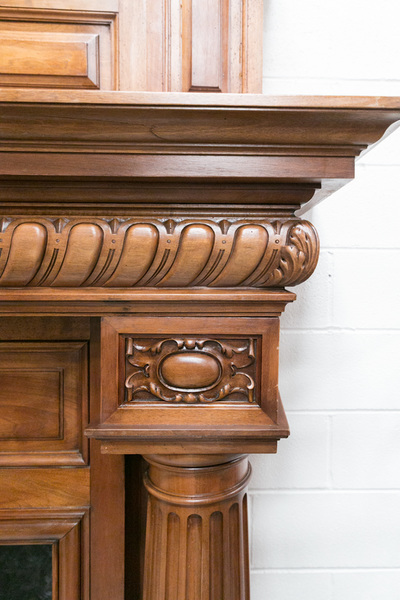 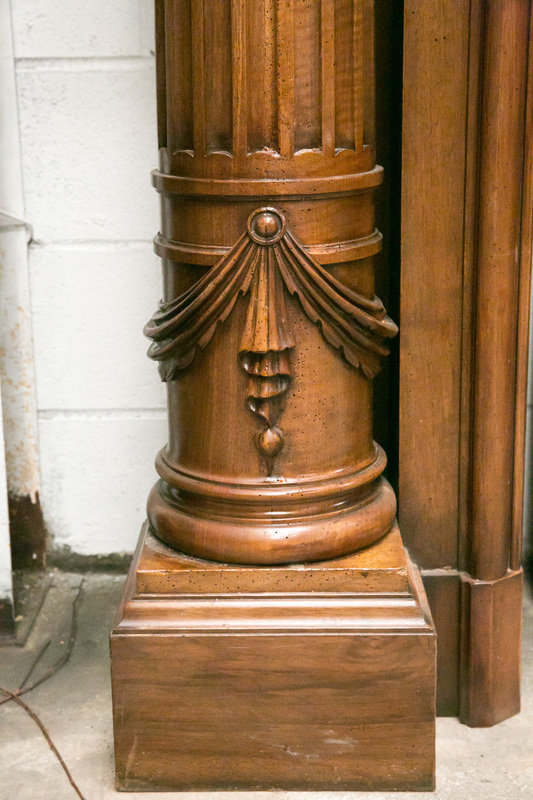 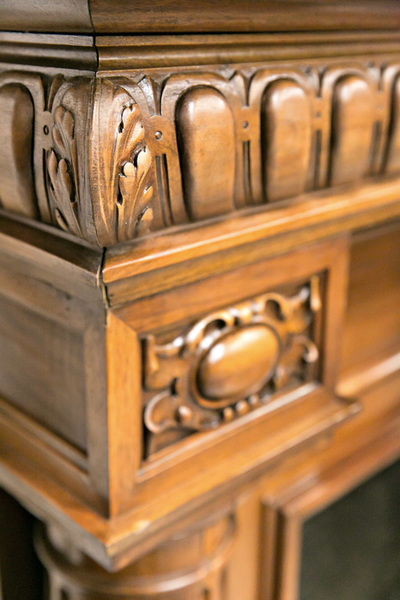 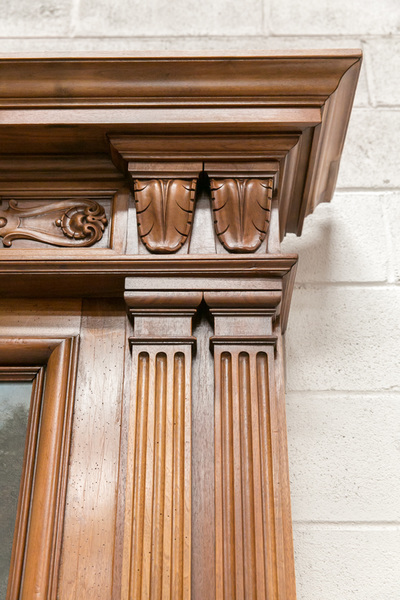 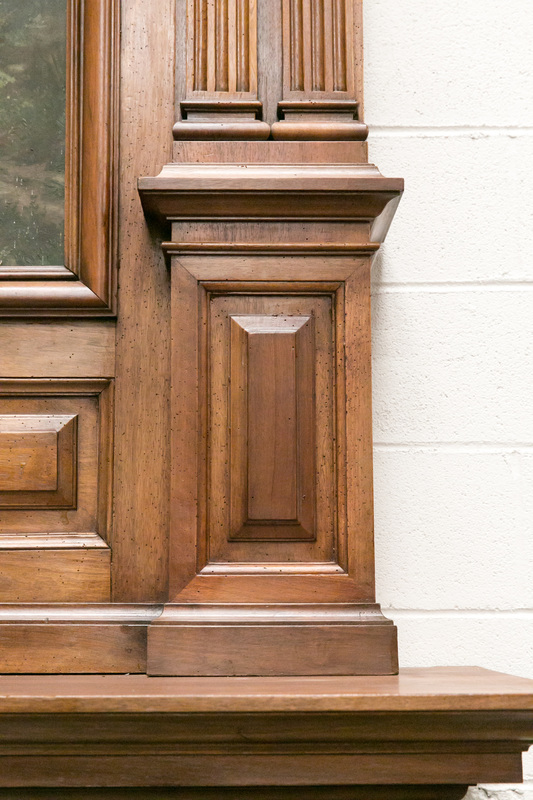 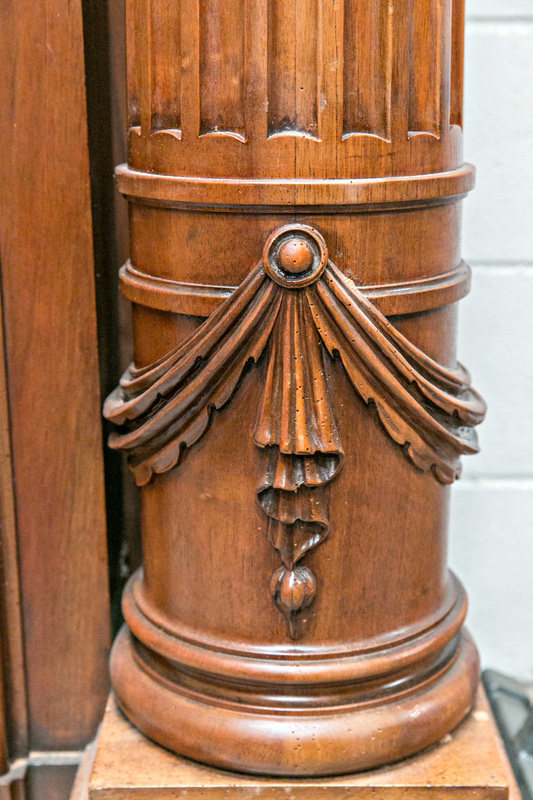 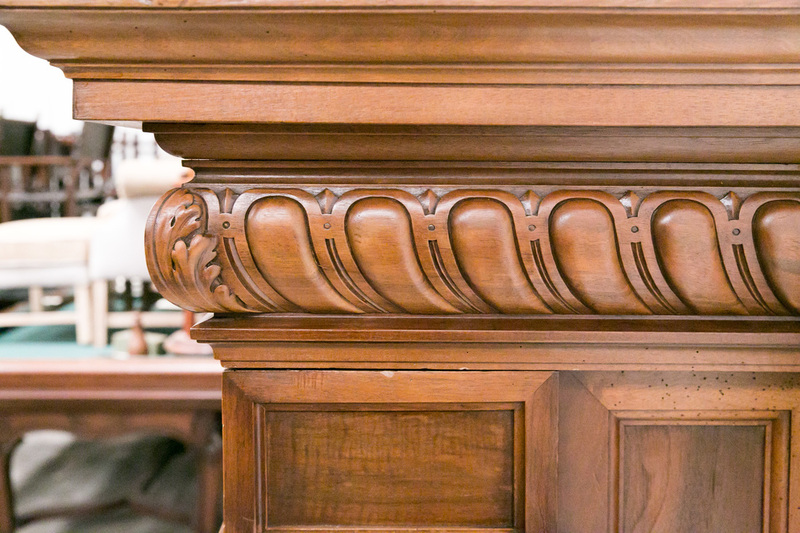 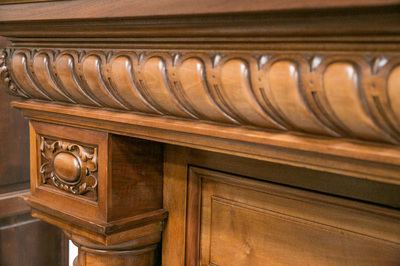 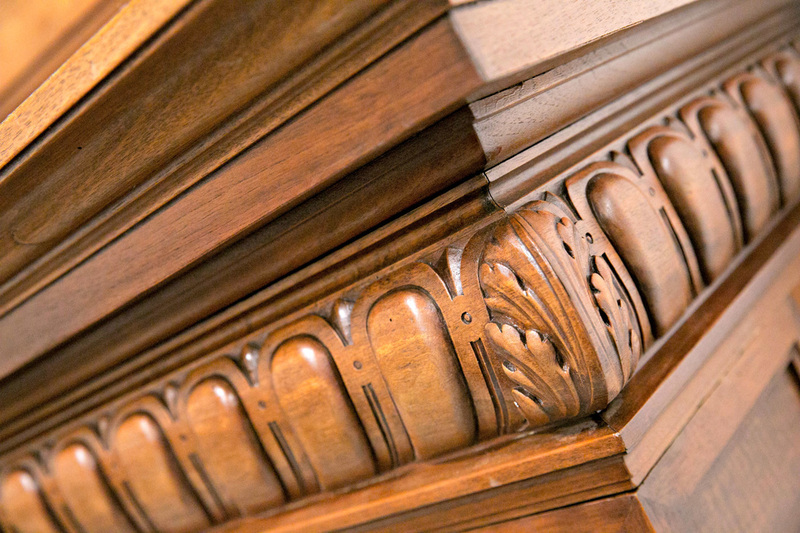 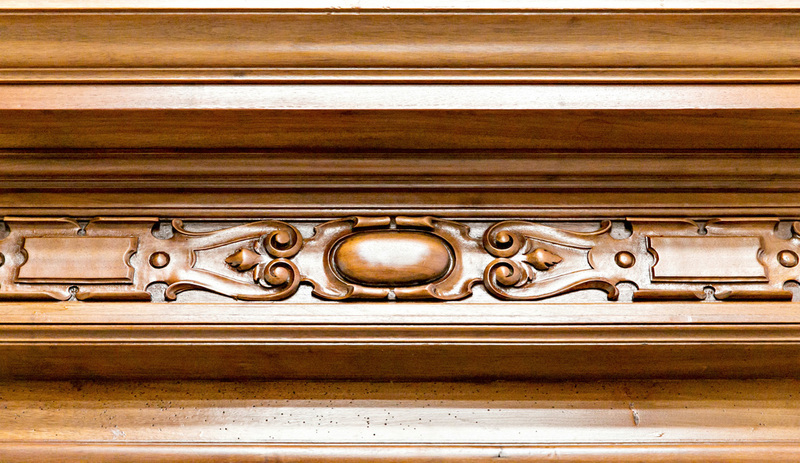 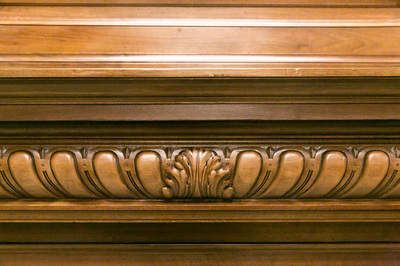 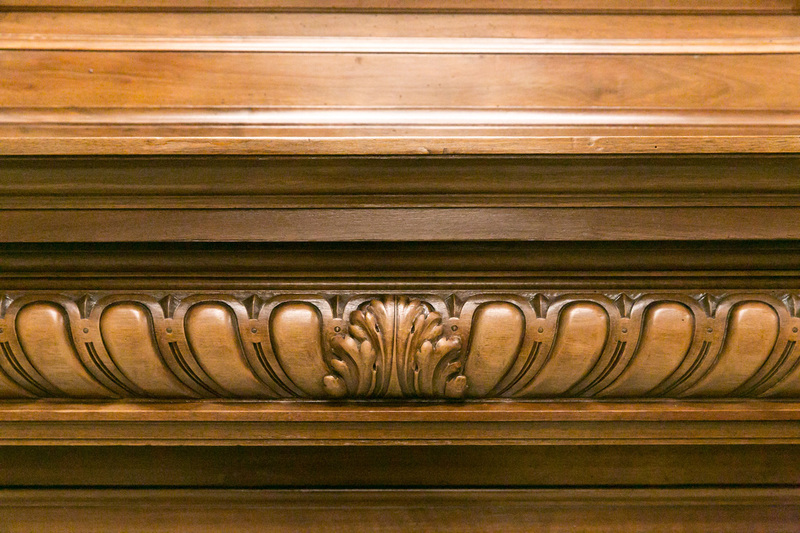 The masterfully hand-carved fireplace is of solid French walnut and dates from the late 19th century when it was custom built for a chateau in the Ile-de-France region. 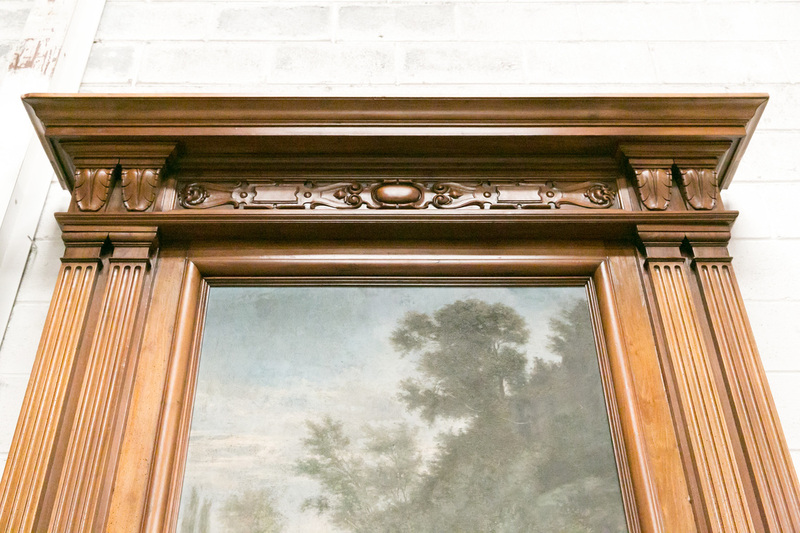 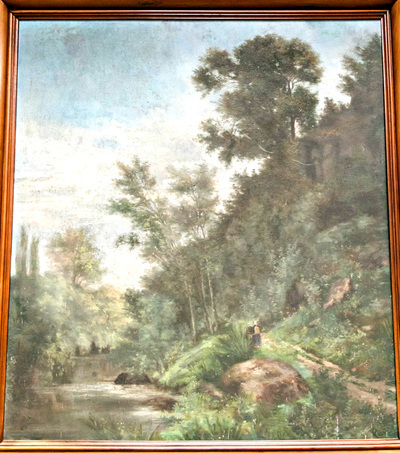 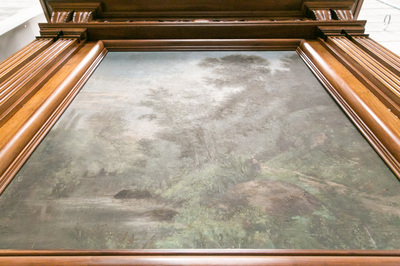 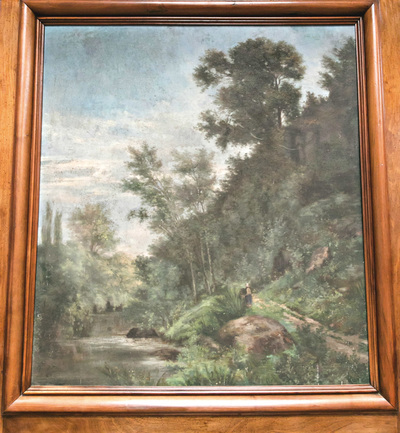 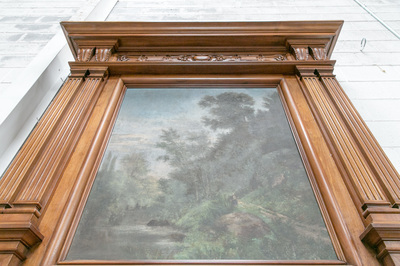 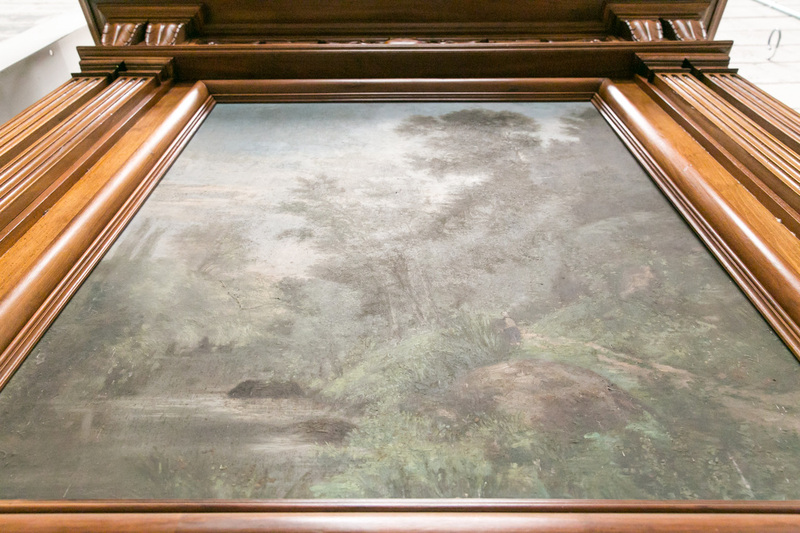 It is an elegant example of understated Renaissance styling with the original oil painting intact and will create a commanding presence in any room while enhancing the warm and inviting atmosphere created by a roaring fire. The fireplace is sold without any insert or floor. 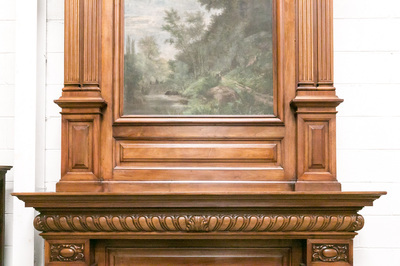 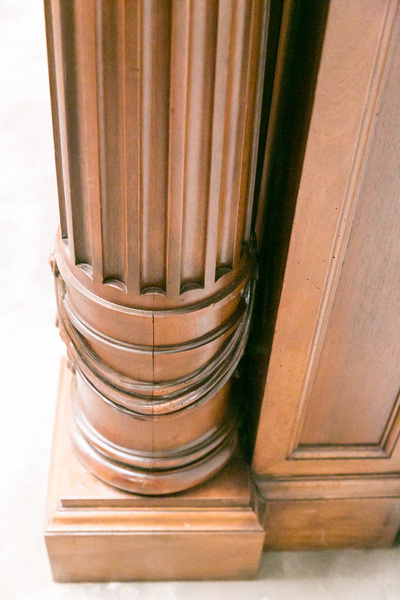 The upper frieze is carved with a center cartouche and typical Renaissance motifs and the deep shelf of the fireplace surround is supported by large Doric columns. The expression Renaissance, meaning "rebirth' in French, was coined in the 19th century and covers random periods from the 14th through 17th centuries.